The Covered Bridges start location is Tinicum Park, 963 S River Rd, Erwinna, Bucks County, PA 18920. Click here for a local map, or use MapQuest or Google for door-to-door directions. As always, you can Email for assistance. From Rt.202 north or south use the NJ Rt.29 Lambertville/Stockton exit in NJ. Take NJ Rt.29 north 15 miles to Frenchtown. 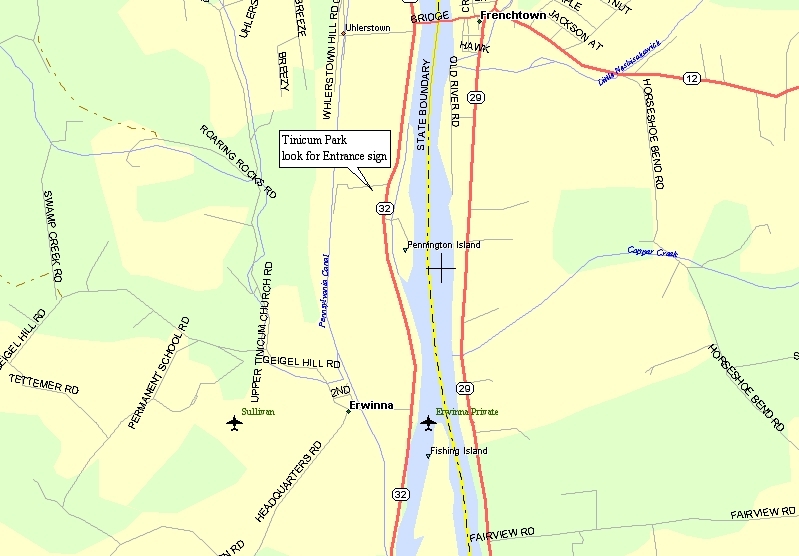 At T-stop in Frenchtown make a left, cross the Delaware river bridge to PA, then go left off the bridge onto PA Rt.32 to Tinicum Park within two miles.